I love picking out a theme for christmas wrapping paper but always get hung up on the tags – I can never find one that matches exactly how I want them too. They are either too matchy matchy and too commercial looking or the design is in conflict with the paper. THE STRUGGLE IS REAL. 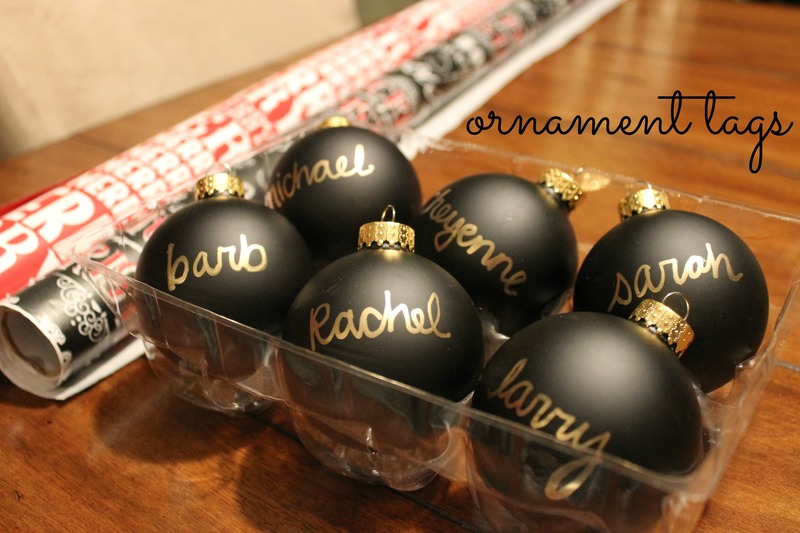 I was inspired by the Fab Housewife’s post on chalkboard DIY where she had made chalkboard ornament tags. 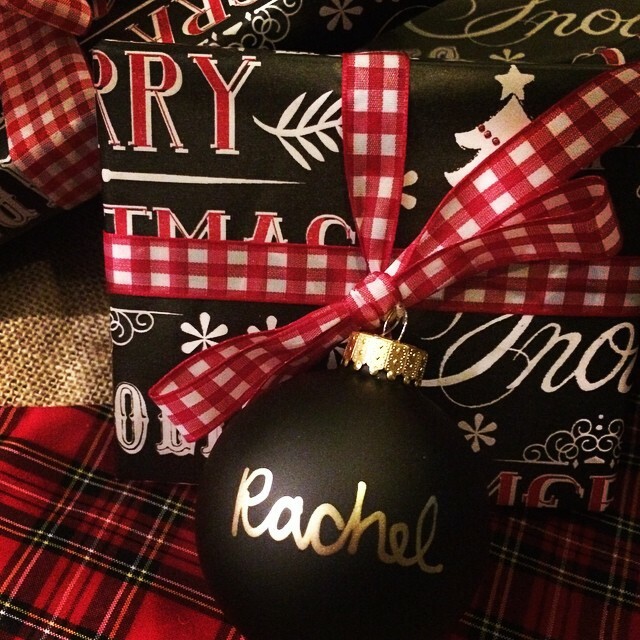 I decided to skip the work of spraying them and instead bought black ornaments from Hobby Lobby and a gold paint pen. I am really pleased how they came out – and even more pleased that it took ZERO time to make and literally no mess. I wrapped as usual and used a clear fine cord to attach the ornament to the bow. I knotted it several times to make sure it was secure. Here is the final product! You could also make these as place cards or seating arrangements for your christmas party! Categories: Good Design | Tags: christmas, DIY, holiday wrapping, ornament, ornament tags, wrapping | Permalink.